When it comes to 250 class FPV racing, speed, agility, durability and strength are the key attributes of a winning quad. For that alone, youll want an X:Bolt in your armory. The Ares Z-line X:Bolt is a feature-packed 250 class FPV racing quad that is sure to give you an edge against the competition. A lightweight carbon fiber frame, folding 4mm thick carbon fiber arms and aluminum standoffs help make the X:Bolt both durable and compact. The included power system for the X:Bolt is designed to be versatile, powerful and efficient utilizing high-performance 2206 2250kV brushless motors paired with 18A speed controllers that run the latest BL heli firmware. And, if you want to go beyond the stock set-up 3S LiPo battery, the power system has been designed so you can extend to flying a 4S LiPo battery and up to 6 props (available separately). The power distribution board included with the X:Bolt was designed to accommodate a wide range in voltage needs, and with both 5V and 12V power out, you’re able to use just about any FPV accessory – plus it even has a built-in 3A BEC. 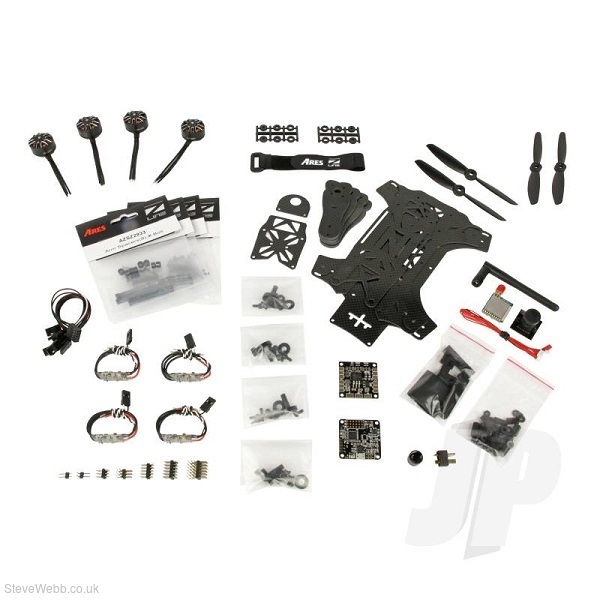 The heart of any quad is the flight controller, and the X:Bolt doesn’t disappoint here. It comes with a Naze32 bit controller with pre-loaded, customizable Cleanflight software that operates popular accessories like RGB LEDs that fit directly on the mount that’s included with the X:Bolt frame. 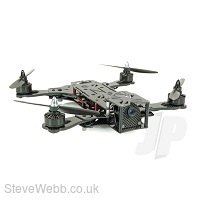 The FPV system consists of a 600TVL camera with a 100º field-of-view and a 200mW 32-channel video transmitter. The lightweight camera is attached to the frame with a 17º camera mount and provides a crystal clear picture of what’s ahead – even in high-speed racing. The included video transmitter provides plenty of range and with 32 channels available, you’ll have numerous options whether racing or just flying with friends. An aftermarket tilt camera mount option (AZSZ2937) is also available so the pilot can adjust the camera angle or take advantage of the self-leveling camera feature on the flight controller. So, whether you’re a first-time racer or are already used to crossing the finish line first, the Ares Z-line X:Bolt is the performance racing quad for you. Folding arms for easy transport and storage. Includes video transmitter – 200mW for US 25mW for UK and AU. 600TVL camera resolution with 100° field of view. 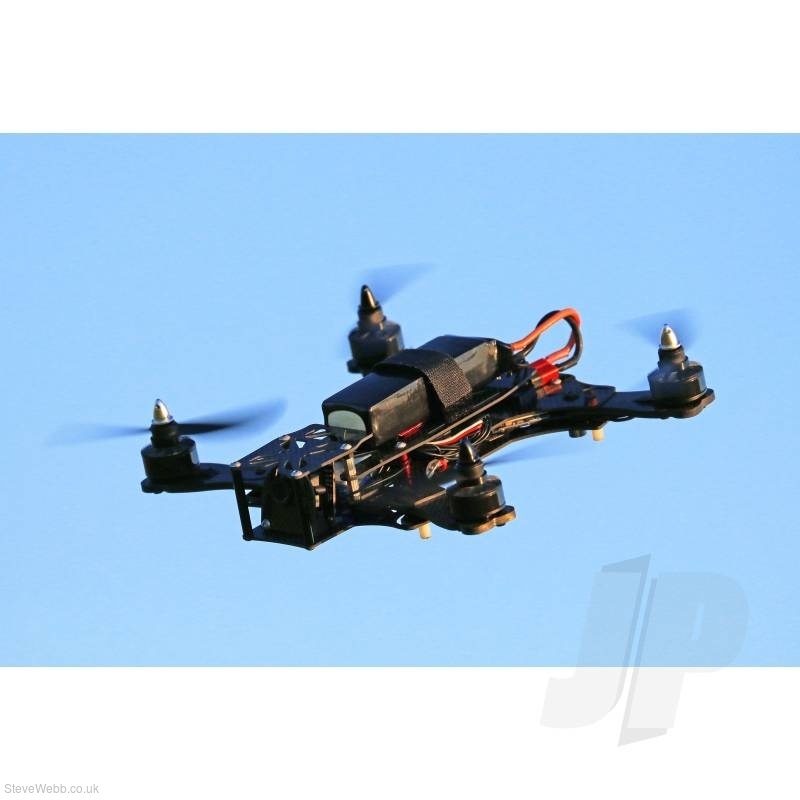 32 bit flight controller with pre-loaded Cleanflight software. 18 amp One-Shot enabled speed controllers with BLheli firmware. 1 x X:Bolt 250 kit of airframe parts. 4 x 18 amp ESCs. 4 x 2206-2250kV brushless motors. 1 x Naze32 flight controller. 1 x Video transmitter – 200mW (US) 25mW (UK & AU). 2 x CCW propellers (5 x 4.5). 2 x CW propellers (5 x 4.5). 1 x 3S 1300 – 2200mAh LiPo battery. 1 x 5-channel (minimum) 2.4GHz transmitter. 1 x 5-channel (minimum) 2.4GHz receiver. 1 x Suitable 3S Li-Po battery charger (Radient Ascend - RDNA0045). 1 x Pair of FPV goggles or Ares Z-Line FPV monitor.